My gums around one tooth are swollen – what could it be? When gums swell around a single tooth in this way, it usually indicates an infection. This is called an abscessed tooth, and it can be very painful. If left untreated, it is possible for the infection to spread, leading to more serious dental problems. When a cavity is left untreated, the inner pulp of the tooth can become infected. This infection can spread into the gum tissue around the tooth, which creates an abscess. 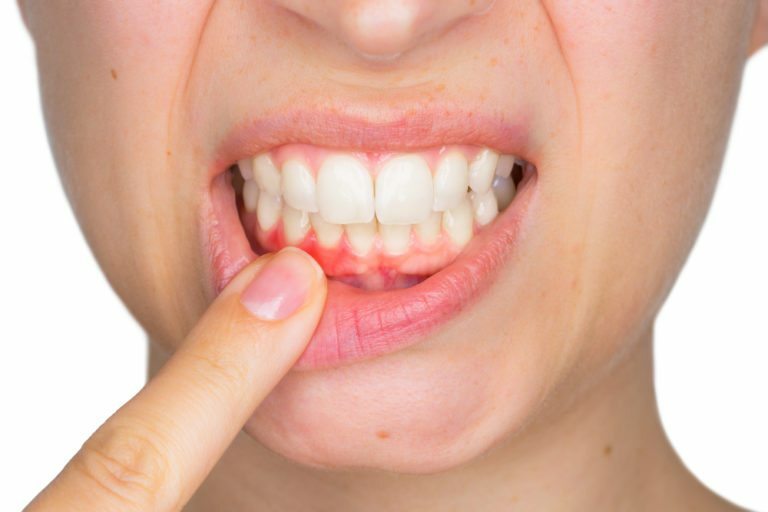 An abscess can also be caused when gum disease causes the gums to pull away from the teeth. This leaves open pockets where food can get trapped, causing an infection. The tooth may be sore or very tender to the touch. You may notice a pus-filled pimple on the gums. This is called a draining fistula and may rupture. Throbbing or pulsating pain that is not relieved by over-the-counter pain medications. Your dentist will clear the infection by draining the tooth and the bone and gum structures. You will likely also be prescribed a course of oral antibiotics. Once the infection is cleared up, your dentist will perform a root canal to clean out the tooth pulp and canals, sealing the space with a special material to prevent any further infections. If a root canal is no possible, your dentist may decide to extract the tooth and place a dental implant instead. A tooth abscess is a serious condition that needs to be treated as soon as possible. If left untreated, the infection can spread to other teeth, and may even infect the bone that supports teeth. Your face can become very swollen and painful, and the infection can even spread into other areas of your neck and head. Though home remedies may provide temporary relief, this is a serious condition that needs to be examined by a doctor as soon as possible.